What is the Best Way to Tone Up? WHAT IS THE BEST WAY TO ‘TONE UP’? Whether you want a ‘toned athletic’ look or a ‘firm, defined physique’, the idea of ‘toning up’ is a strange one and very often misunderstood. Getting your head in the right place is half the battle when looking to overcome sticking points in either starting on making progress on your goals. ‘I don’t want to get muscular, I just want to tone up’. It’s a phrase that gets used so frequently yet it is one that is so badly understood. The first thing about the phrase above is that it is almost an Oxymoron. To define toning and try to exclude muscle is just plain wrong! The word tone generally refers to colouring or shaping something. To give it a different texture or feel. In this case that something is muscle tissue and therefore must, by its very definition, refer to doing muscular alteration work (i.e. resistance training). What do people mean when they say they want to tone up? I think the big problem is that toning means different things to different people, as it probably should. If you were talking about adding some tone to a photo, for example, one person might think that means adding definition and sharpness. Another may feel it means adding deeper shadows, brightness or colouring. And, in essence, they would both be right. With muscle toning though, I feel the most common image is that of sleek, slender, firm and shapely figures. No bulk, no flab and certainly not an almost skeletal, anorexic look. The problem is that there is a common misconception that, to achieve that look, the type of training required is low weight, high rep work. One reason for this might be that the sensation achieved is one where the muscle being worked burns in a way that it feels like it is getting a great workout. The muscle is getting stretched and ‘toned’ but without the bulk generated by heavy lifting. Now don’t get me wrong, lifting with any weight to a point of lactic build up and muscular fatigue is going to cause a level of muscle strengthening. But lifting in this way is far from the most efficient or effective way to do it. I get the feeling that most people believe they are ‘hardening’ up that area. For example, I will often see girls bicep curling with 2-3kg dumbbells (or less!!!) thinking that it is going to firm up and ‘tone’ their upper arms. That wobble in your upper arms is FAT, pure and simple. And no amount of bicep curling or tricep extensions are going to burn that fat off. Yes, you might strengthen the muscle behind the flab a little, but until you burn off the fat, by creating a negative calorie balance, you are never going to see it. It’s a bit like the quest for a 6 pack. Many people will do constant crunches, sit ups, reverse crunches, oblique crunches etc. in the hope of ‘flattening’ their tummy. Yet it is the layer of fat over the top that is stopping that 6 pack from showing. And by doing all those sit ups, at best you are building up a little muscle there. This then pushes the fat out further, making things look worse. Plus, you are potentially screwing up your posture by causing an imbalance in your core muscles. The common result being back pain and even severe injury. What SHOULD you do to ‘tone up’? The fact is, to ‘tone’ you need to two things. You must burn off any fat covering the muscle belly. You have to have a muscle there to show. How you ‘shape’ that muscle is another matter, but the fact is that being ‘toned’ is having defined muscles. Big or small they must be visible. And I think that is an acceptable definition for most people. But unless you can see that muscle, then it doesn’t matter how tight or firm it is. 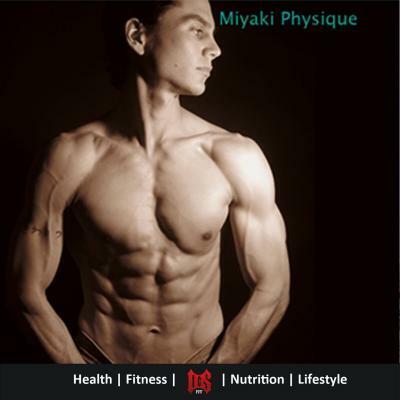 What is the right answer to achieving an athletic physique? Well there is no ‘right’ answer. There are simply methods that have been proven to work and then differing opinions on how to apply them. Fortunately, however, there are some key elements that are generally agreed upon. First there is the use of compound movements. Any multi joint movement is going to utilise more energy than a single joint movement. Therefore, it will burn more calories. It will allow you to move more weight. Therefore, it will cause a greater stimulus to your muscles. It will utilise more muscles. Therefore you can work various muscles at once, saving time in the gym and getting a greater return. But the thing to take away from that is that the core part of your workouts should involve multi joint (compound) movements, such as squats, deadlifts, pressing movements (Bench Press etc) and rows. That doesn’t mean go running to your gym and start doing these immediately, as there are down sides. The fact that these movements are multi-joint means there is more complexity to the movement and as a result, risk! So, before you go loading up the squat bar, make sure you know what you are doing. Speak to someone who REALLY knows what they are talking about (not someone who THINKS they do) and get these movements right. Another thing to keep in mind is that these movements are very taxing on your nervous system. As such, they require more recovery than single joint movements. But, the fact remains that these are the type of exercises you want to be including in your routine as soon as possible to get the best results. As for weights and rep ranges, these will vary wildly from person to person. Remember, we are not all designed the same. There are short people; tall people; people with short limbs; long limbs; those who are naturally strong; naturally flexible; can easily burn fat; can easily build muscle; those that struggle to burn fat; people with limitations in their range of movement; people with poor posture or muscular imbalances and then there are other genetic factors that you could be blessed or cursed by. However, as a rule, I would consider 15 reps to be extremely high and would advise most people to be working at 12 reps or fewer for the majority of their training. Personally, I prefer keeping below 6 reps for most exercises of this nature as I feel it is easier to stay focused on each rep at that range, whereas going for 8 reps and above can cause a lack of concentration, especially in the middle of the set, which leads to sub-optimal performance and a higher risk of injury. I can already hear the screams of resistance! Well let me just address this quickly. For the girls worried about adding mass by lifting heavy – get over it! It is simply not going to happen! 90% of women do not have nearly enough testosterone in their system (or put another way, they have too much Oestrogen) to cause bulking no matter what weight you are lifting. And even if you do have a the rare tendency to bulk, it is not going to happen overnight. If adding muscle size was that easy, body builders (and most male trainers) would be taking things much easier. Adding muscle is extremely hard and happens over a period of months & years, so if things start to go a way you don’t like, then just back off a little and alter what you are doing. Secondly, big gains will generally only occur if your diet allows it. So, if you have your diet in check (which I’ll come to in a minute) there should be no question of huge muscle mass occurring as the focus of your diet should generally be to lose fat. Lastly, this notion that below 6 reps is for strength, 6-8 is for hypertrophy and 8+ is for either endurance or toning is really getting old and far too over used. Yes, there are studies showing that the rep ranges described are ‘optimal’ for the results described. But that does not mean there is something magical that happens at those levels to create that change. Again, a lot is down to diet, much is down to genetics and it also matters how those weights are lifted. 6-8 Reps is not the ONLY way to hypertrophy muscles. A big chunk of the reason is down to time under tension (TUT) and volume. But if you were to do 3 sets of 8, the reps would be the same as if you performed 8 sets of 3. The difference is you could use heavier weights, you’d lift slower as a result (increasing TUT) and your training volume would increase. The bottom line is, for most people, lift big and lift powerfully for the most bang for your buck. There is much more to it than that and there is a lot of tailoring that should be looked at from person to person, but covering all the bases is far too great a topic to cover in one article. If you need help on this, then I strongly suggest you find a reputable fitness professional, coach, personal trainer, to help you optimise your workouts. It is an investment you will get huge returns from (and if that ‘professional’ starts preaching that you ‘must’ lift in the high rep ranges for toning, find yourself a better coach). I will be covering more specifics on this topic in future posts, so just keep checking back for more information. As for the diet – again specifics are beyond the scope of an article like this, but there are two elements that are key for most people. To burn fat, you MUST be in a calorie deficit. How that is best achieved will vary wildly from individual to individual, but this is Physics and cannot be worked around. If you are not in a calorie deficit, you are not going to achieve the losses you are looking for to uncover those toned muscles. Secondly, you must have enough fuel to achieve the workouts. You can’t run your car without petrol and you can’t run your body without fuel. So, severe calorie restrictions are out, as you will end up burning more muscle tissue than fat and your workouts will suffer. Also, that restriction in calories requires you to ensure you get the correct nutrients to keep functioning properly. So, lots of fibrous veggies, no low carb dieting (Mr Atkins can take a run and jump) as you need carbs to give you energy. Also, no points based diets! Your nutrition must be balanced. So, if you are on any kind of points based diet, get off it fast! They don’t work – Period! Yes, you might see short term results, but in almost 100% of cases, the weight will come back with interest and while you may get smaller, you will not be getting ‘toned’. Again, there is much more to it than this and I will go into the elements of diet in greater detail in future articles. Ladies, don’t be scared to lift heavy – you are NOT going to turn into the hulk as a result and it will help you tone. 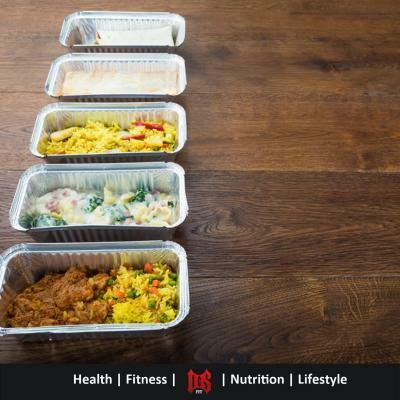 Get your diet in check – your diet determines the effect that your training will have and your results depend on getting this right for YOU and your body type. Use compound exercises – this doesn’t mean never use isolation exercise, but the foundation of your workouts should always involve multi joint movements. 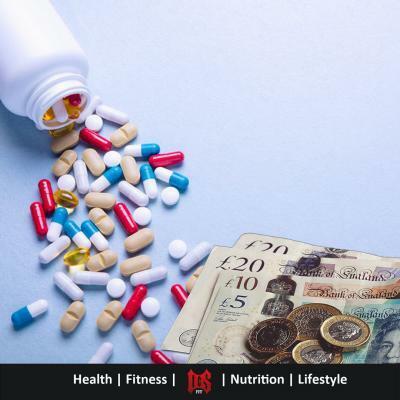 Get informed advice – If you want the most out of any workout, exercise or diet you should be carrying it out correctly and in a way that suits your genetic make-up, body type, hormonal reactions and lifestyle. You can achieve that in one of two ways. Trial and error or get the information from someone who has done the research for you. Either way, make sure you work on what works for you and not what works for someone else. You are an individual, treat yourself as one. And above all, take action. You now have many of the tools to go and get started, so don’t continue to procrastinate. Every day you are not moving forward is a another day you are away from achieving your targets, so go and get started! I’m sure I could add a lot more on this topic, but hopefully that is enough to be getting on with. 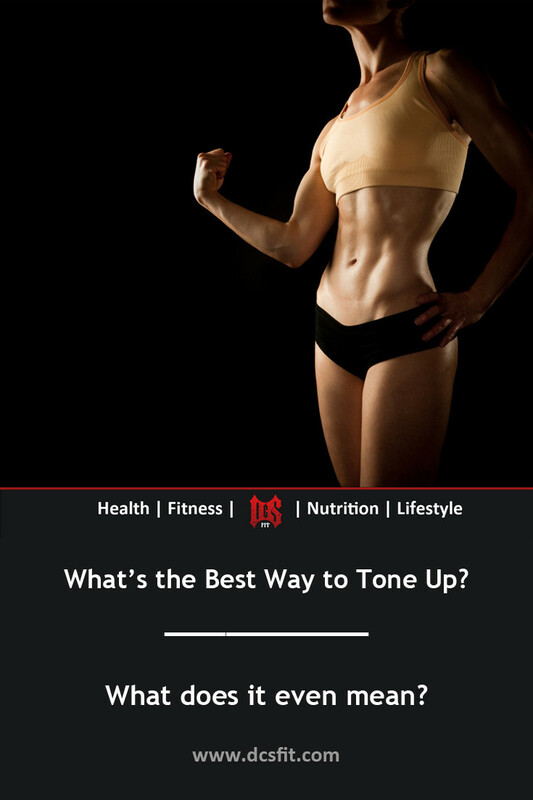 What’s the Best Way to Tone Up? I hope this has been of use and has clarified many of the misconceptions on toning. However, if you have your own views or even if you have suddenly had an ‘a-ha’ moment that things have just clicked, let me know in the comments below. And if you are just starting out, keep me posted, through the comments, with your progress. I’d love to know how you are getting on.